1. 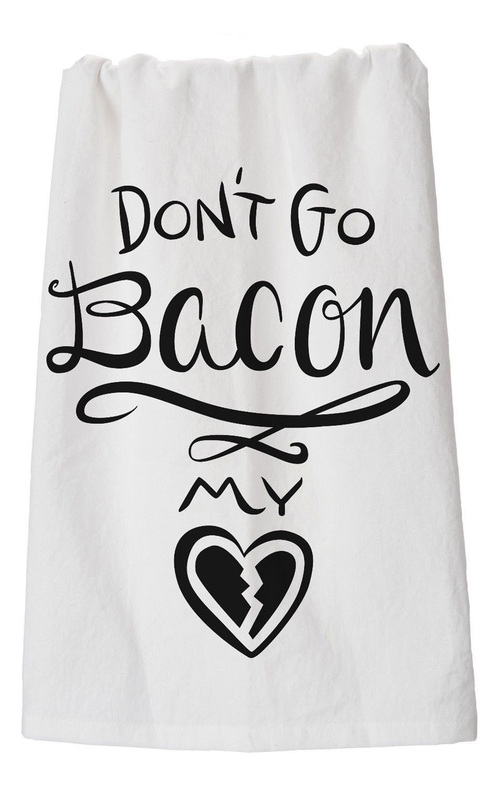 "Don't Go Bacon my Heart" - I couldn't not love this towel even if I tried! 2. 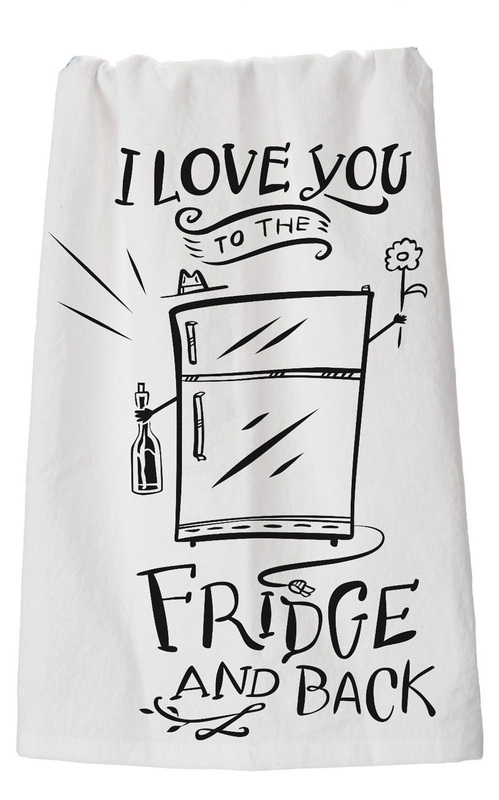 "I Love You to the Fridge and Back" - because what says "love" more than getting up from the couch to get your special someone a snack. 3. 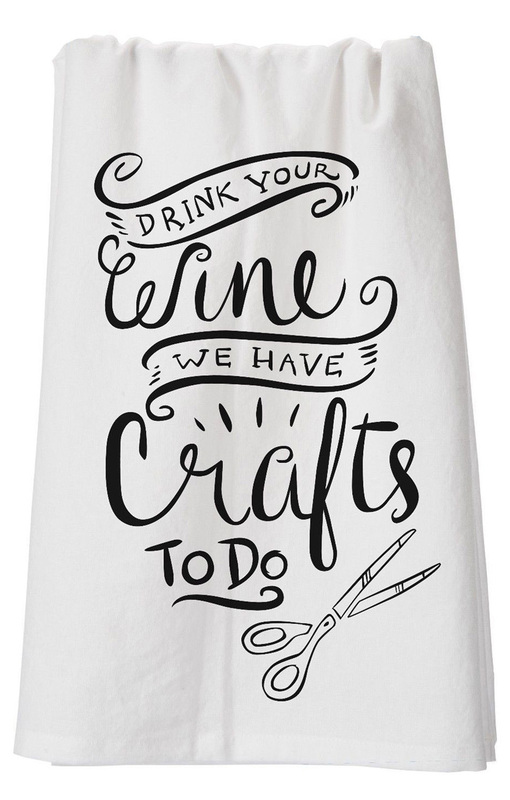 "Drink Your Wine, We Have Crafts to do" - because wine makes everything better.